PM40T PianoMic become a critical piece of gear for each stop on world tour after convincing "closed-lid" demo session at the NAMM Show. 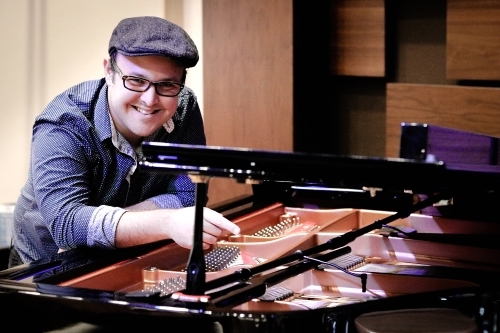 For the past eight years pianist Kemuel Roig has been touring with world-renowned jazz trumpeter and Grammy award-winner Dr. Arturo Sandoval. At the NAMM Show this past January, Roig discovered the Earthworks PM40T PianoMic, and the microphone has since become a critical piece of gear that they use at every stop on their tour around the world. “When I put on the headphones and heard this PianoMic, I said, ‘Whoa!’ The sound was absolutely amazing. This was an eye opening experience for me. I wanted to see these mics, so I opened the lid of the piano since I couldn’t believe what I was hearing in the headphones. 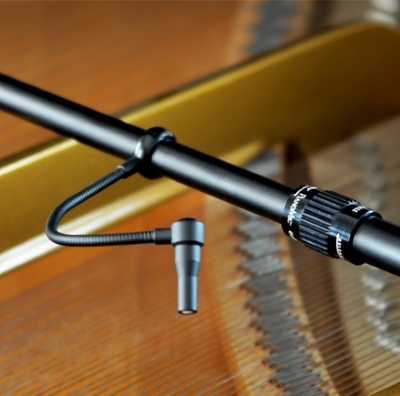 In the past, Roig notes that they had to spend a lot of time making adjustments for acoustic feedback of certain piano notes that sounded louder than others with the previous microphones used. Beyond the closed lid miking and minimal EQ needed with the PianoMic, Roig also notes the flexibility of the PM40T as a favorite feature.